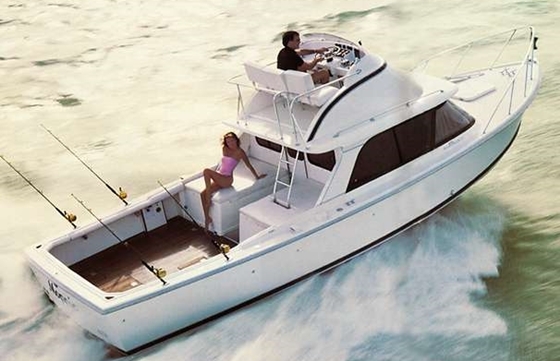 Owned by a very knowledgeable cruising couple, this 42 Jefferson Sundeck is dialed in and gets regular use; having gone from the Chesapeake Bay to South Florida, fall to spring, the past 2 years. In a market where many of these old classic motoryachts and trawlers sit, leak and rot away, here's a boat that's literally ready to go. Continuous updating from a new Westerbeke generator, newer Cruise Air reverse cycle heat and AC units, bilge and water pumps, 3 year old enclosure, 2 updated Vacuflush heads and a fully Awlgrip painted hull, to name a few. 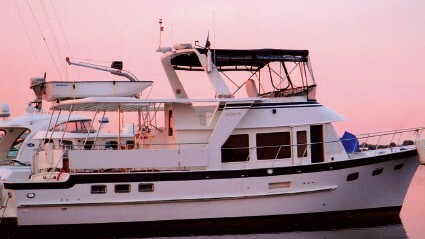 Designed by the noted Naval Architect, Robert B. Harris, the Jefferson 42 Sundeck is recognized as a contemporary classic, with lines that embody the traditions of fine motor yachting, yet combine the latest of modern engineering principles with proven construction techniques and materials. From anchor light to keel one can expect the optimum combination of strength, efficiency, performance, and comfort. The Captain's view from the flybridge helm is excellent at all points of the compass, while cushioned companion seats provide spacious comfort for his guests. The wrap-around stainless steel framed windscreen, stainless grab rails, large storage lockers, and teak-treaded stainless steel bridge ladder are standard. The one-inch stainless steel deck handrails are supported by stainless stanchions fastened with back plates to the hand-laid fiberglass deck. 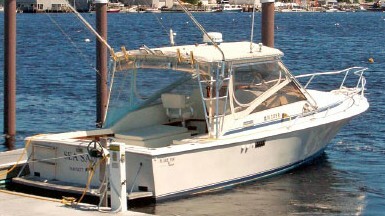 Large cleats, chocks, and a bollard are standard on every yacht, as are a bow pulpit with roller, swim platform, boarding ladder, and shock absorbing upper guard moldings on the hull. Not forgotten are the subtle luxuries of a hot and cold shower at the transom and a sea water deck washdown at the bow. Inside, the Jefferson 42 Sundeck is available in three custom floorplans, each carefully crafted and finished by hand with matched teak throughout. It is a Jefferson Yacht hallmark that no two yachts are ever detailed exactly alike - a tribute to the legacy of old-world skills employed in construction. The Sundeck's master stateroom offers unparalleled luxury, from its queen-sized berth to its sumptuous head replete with marble washbasin, golden faucets, and separate shower with a tub. Storage space has been planned for extended cruising with full-sized drawers, hanging lockers, bureaus, and even a vanity - all in hand-finished teak. Forward staterooms are available in a choice of sleeping accommodations suitable for virtually every combination of family, friends or fishing buddies. Main saloons in the 42 Sundeck are spacious and well-appointed with teak parquet flooring, and a wide choice of custom draperies. All cabinetry is hand-finished teak. The opening side windows are tinted safety glass with screens. The forward windshields are equipped with dual electric wipers to clear the way when conditions demand navigation from the fully instrumented lower station. Four large hatches in the saloon floor make major engine and machinery service easy, while a door beneath the galley steps allows access for routine inspections without disrupting saloon activities. Different galley layouts provide for household-sized electric refrigerators with ice makers, microwaves, and electric ranges with ovens, plus separate dinettes. Pantry space is abundant and handy in beautiful teak cabinets. A double sink is standard as is a sea water rinse faucet to help conserve fresh water on extended cruises. 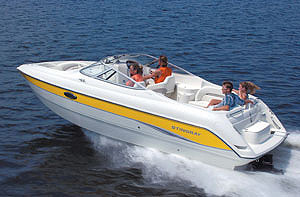 The very best mechanical components have been selected as standard equipment on every Jefferson 42. Service items have been chosen based upon their individual brand reputations for dependability, ease of service, and universal parts availability. All underwater hardware is either of stainless steel or marine-grade bronze. The two-inch diameter propeller shafts turn four-blade bronze props. The water heater is equipped with an engine-driven heat exchanger to produce hot water when AC electricity is not available. Electric wiring is color-coded, breaker protected, and controlled from a convenient electric systems control panel. 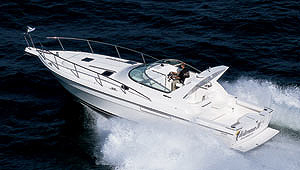 Each Jefferson Yacht is certified to comply with all applicable US Coast Guard Safety Standards. Westerbeke 8kw diesel gen (new 2017) with 460hrs. Dinghy is a 9' Mercury in very good condition.